I am very excited to be working with Vitacost.com and Health Bites to help spread the message of raising health by showing others how to fuel their bodies with healthy and delicious breakfasts! Vitacost.com is an online company that sells the same health and wellness products as Whole Foods, but up to 50% retail. Check out their site, but only if you have a few hours to spare and your credit card in hand because trust me when I say that they offer so many great products for fantastic deals that you cannot beat anywhere else! 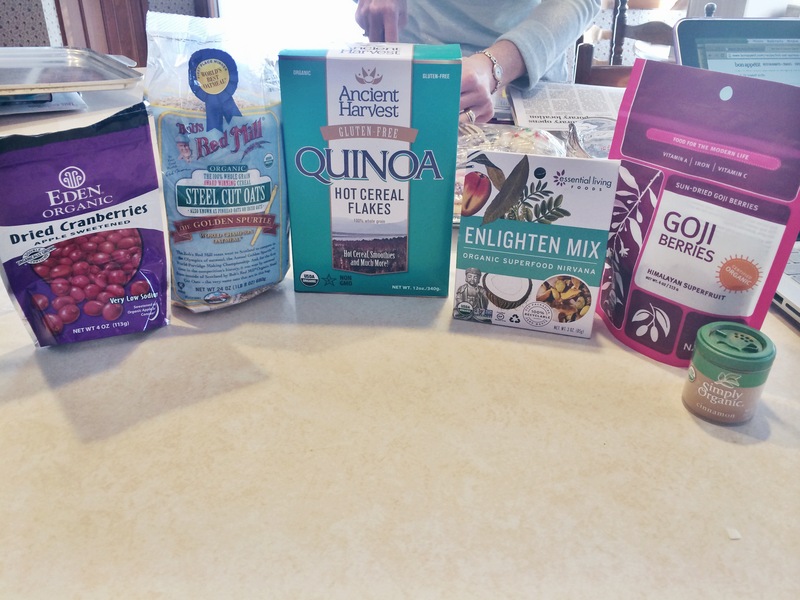 When my first package of products arrived, I was anxious to experiment with new breakfast recipes. One of my first experiments was this Spiced Goji Berry Hot Oats & Quinoa Porridge in which I used a few of my new products pictured above. Let me give you some background information on a few of the ingredients so you are aware of the health benefits behind this great breakfast dish. Quinoa is one of the most protein-rich foods to eat as it contains all nine essential amino acids. Quinoa contains iron, which carries oxygen throughout the body. 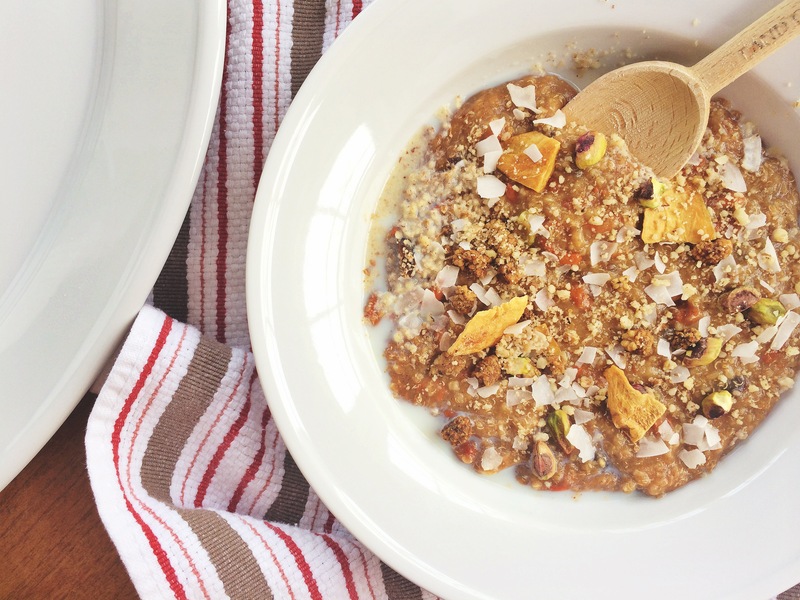 Quinoa is full of magnesium, which relaxes blood vessels and promotes healthy blood sugar control. Goji berries, which are considered both a fruit and an herb, are found mainly in Asian and European countries. They are an excellent source of antioxidants and here is a fun fact: In China they have been used as medicine for thousands of years as they are found to have natural remedies for diabetes, hypertension, malaria and even fever. 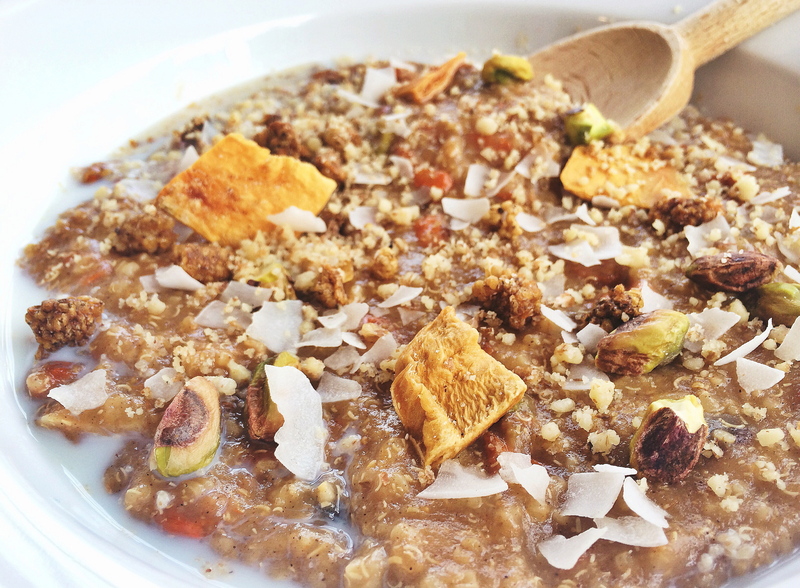 So, what is stopping you from starting your morning with this comforting and healthy hot oatmeal dish? If you have a little free time on your hands and can spare a half hour to prepare it, then try it out. You can even prepare it overnight, put it in the fridge, and simply warm it up in the morning! 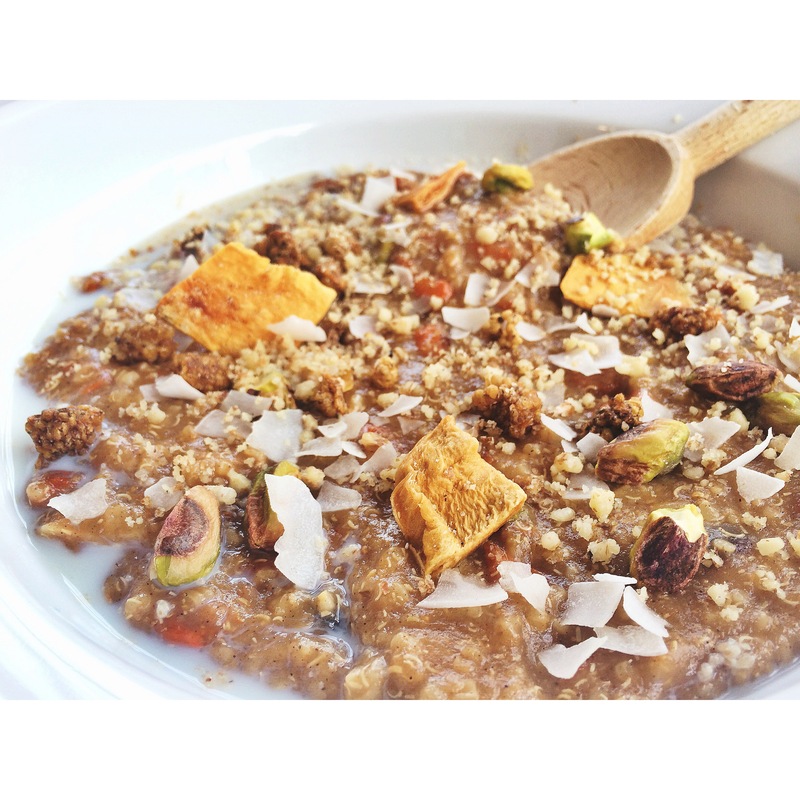 In a medium saucepan bring steel cut oats, quinoa, goji berries, dried cranberries, cinnamon, cardamom, salt, half of the Enlighten mix and water to a boil. Reduce the heat and let cook, stirring occasionally for about 20-25 minutes. Serve with a little bit of milk and top with chopped walnuts and the remaining Enlighten mix. Bon appétit! Next Post Oh Deer, look at the size of that Buck(wheat stack)!